The Directors of Wilson Lawyers are pleased to announce the appointment of Lauren Austin as an Associate. 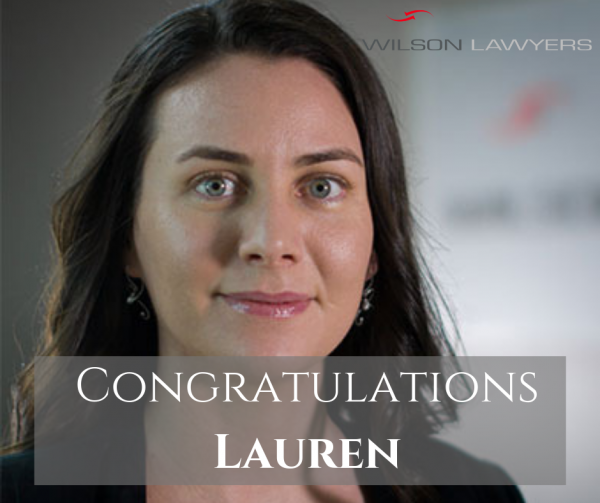 Lauren joined Wilson Lawyers as a law student in 2012 and progressed to the position as a lawyer within our Litigation & Dispute Resolution practice group in 2014. Lauren demonstrates a genuine commitment to client relationships and continues to provide strong, commercially focused and empathetic counsel to all her clients. Respected by her peers, Lauren’s technical skills, confidence and commercial focus has drawn the praise of all experts and barristers with whom she was worked. Lauren’s appointment as Associate acknowledges her skills and experience as a legal practitioner and is a reflection of the firm’s confidence in her very bright future. Hidden Defects in Apartments: who is liable and how can I protect myself?